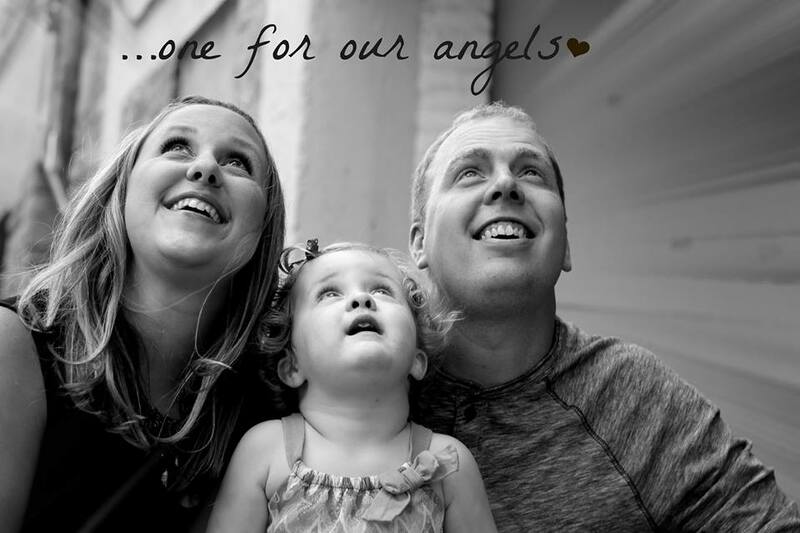 In honor of the 1-Year Angelversary of my sixth pregnancy loss, I’d like to share an excerpt from Chasing Peace. 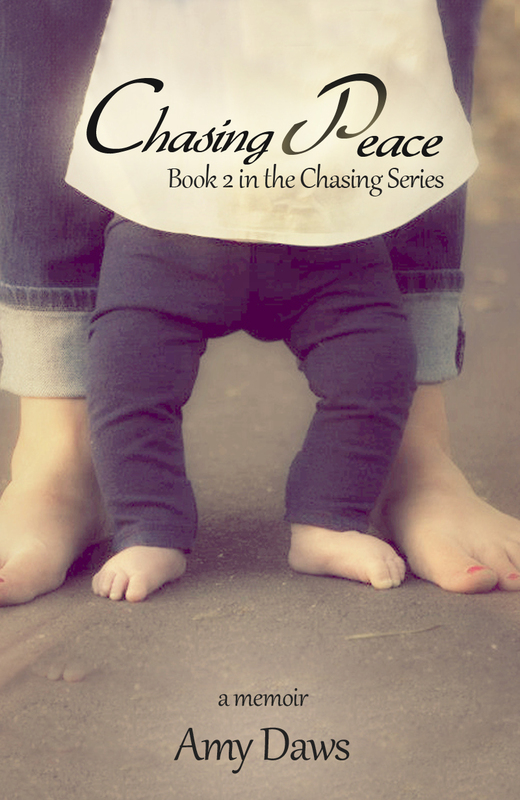 Chasing Peace is the sequel to Chasing Hope and tells the story of my beautiful angel, Neveah Peace. She was my most painful loss to date. This is a hard day today and it sometimes feels like it only happened yesterday. I miss you sweet baby, I can still feel you resting quietly on my heart. As the medical team pushed the bed and me down the hall, I felt so very alone and so very sad. Kevin was instructed to wait in Labor and Delivery Triage. I can’t imagine the sight of watching your significant other get wheeled away to emergency surgery while you have to stay back, helpless and alone. I was crying softly when one of the nurses reached under the blanket and grabbed my hand. She rubbed it soothingly as we passed through the maize of hallways and hospital corridors. It felt like we were moving at warp speed, but her strokes were soft and sincere. I remember her telling me over and over that it was going to be all right. She only stopped stroking my hand when we reached the O.R. and they needed to transfer me to the operating table. Staring up at the ceiling, the medical team all busied themselves prepping me for surgery. Even with a huge team of people around me, it still felt like it was just me and my little baby in the room. I took a moment and rubbed my small belly. I whispered softly, “Good-bye my little fighter. I’m so so sorry this is happening to you. I wish I could have kept you, but I can’t.” I sobbed loudly knowing my baby was alive inside me but they had to take her out anyways. Tears streamed down my temples and into my hairline. The anesthesiologist came over with a washcloth and wiped away the moisture on my face. He didn’t say anything encouraging. He didn’t tell me I was going to be alright. He just wiped my tears. That silence screamed volumes. He knew. He knew what a horrible and rotten situation this was and since words failed him, he offered a simple touch instead. Eventually he put a mask over my face and told me to take ten deep breaths. Before I passed out, the last thing I remember was my own hand continually rubbing my small belly. 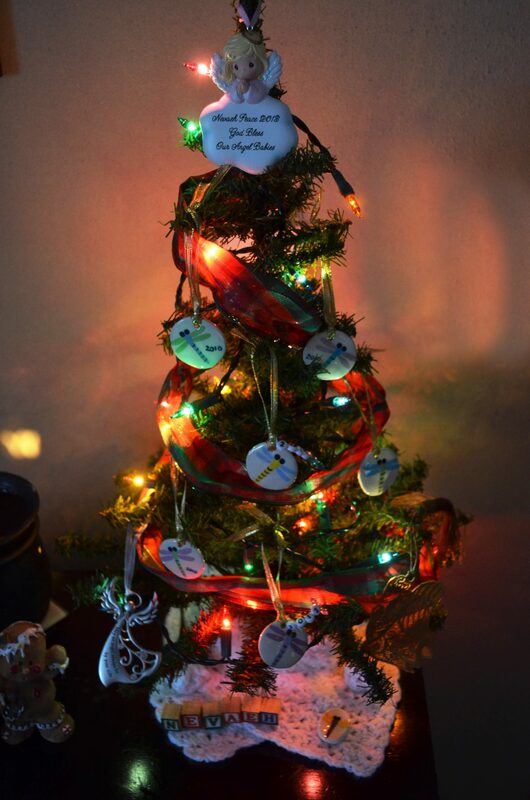 Our very special Dragon Fly Christmas tree. 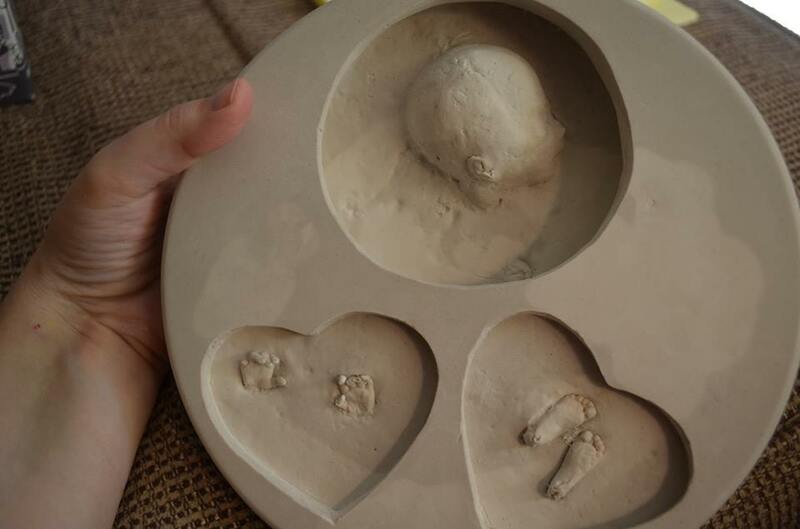 An ornament for each sweet angel. ← Only a Few More Days to Get the Discount!